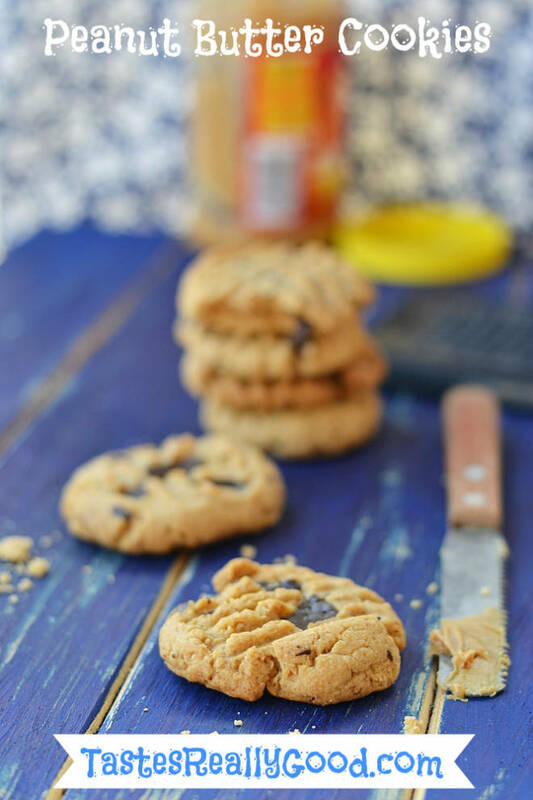 These peanut butter chocolate chip cookies are really easy to make and make a great gluten free option for those of us that have food intolerances. Needless to say these cookies are extremely popular with the children and adults a like. The recipe makes 40 cookies so there should be plenty for everyone. There really is no flour in this recipe so just wanted to let everyone know who had emailed me that this is not an omission. Flour-less recipes for cookies have been around for years so don’t be alarmed. Personally I am trying to reduce my intake of sugar so the last few batches I have made with just 1/2 to 3/4 cup of sugar and they were fine. Next batch I am going to try some organic peanut butter which should further reduce the sugar. 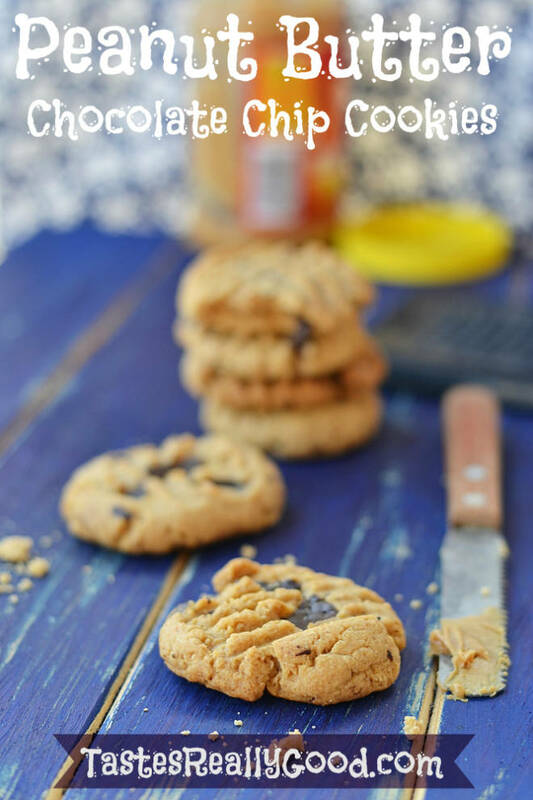 This recipe for peanut butter cookies is really easy people I hope you enjoy them as much as I do. Like all cookies make sure you don’t leave them in too long ! Lightly grease two baking trays and line with non-stick baking paper. Combine peanut butter, sugar, bicarbonate of soda and egg in a bowl. Roll teaspoonfuls of the mixture into balls and place on the prepared tray. Press lightly with a fork. Bake for 8-10 minutes or until light golden. Leave to cool on the trays then place into an airtight container.